Imex ist the leading global event for the meetings and events industry, held in the vibrant business and tourism destination of Frankfurt. The three day event delivers a focused business environment, thought provoking professional education and networking for Exhibitors, Hosted Buyers and Trade Visitors. Find us and our partners below in the Messe Frankfurt at booth G100. 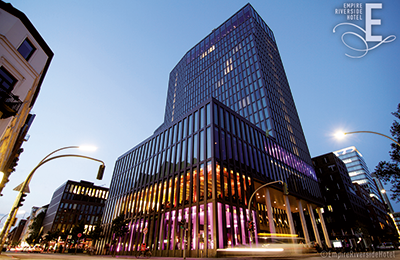 The CCH – Congress Center Hamburg is one of Europe’s largest convention centers. A comprehensive modernization and remodeling campaign has been started in January 2017. With 12,000sqm of exhibition space, 12,000sqm of foyer space and 12,000 seats in up to 50 halls the new CCH will be in perfect shape for the varying requirements of today’s conventions and events when it reopens in 2020. 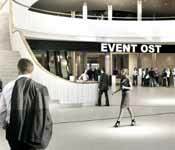 Would you like to discover how the CCH will look like? At the IMEX show in Frankfurt an impressive 3D hologram lets you take a virtual tour of the future complex. See you at the Hamburg booth! 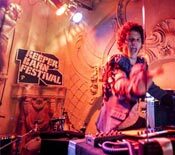 Founded in 1989, Conference & Touring has established itself as one of the leading event agencies in Germany with hubs in all the major cities as well as Vienna, Zurich & Prague and around 100 dedicated staff. We love to innovate, plan and make your event an unforgettable experience. Be it congress, meetings, incentives, sports hospitality, product launching or cruise land services, let us be the butter on your bread, the cherry on your pie. Let us create your magic space and put your visions into place. Like a lighthouse, this imposing, bronze-clad hotel tower rises between the Reeperbahn, the port and the Speicherstadt (warehouse district), enhancing the skyline above the River Elbe. International flair, timeless elegance and hanseatic understatement have made the EMPIRE RIVERSIDE HOTEL Hamburg’s unique lifestyle and design hotel and have given both Hamburg’s port and the St. Pauli quarter a genuine landmark since November 2007. 327 comfortable guestrooms, a variety of gastronomical outlets and 1200m² of banqueting & conference area, provides the EMPIRE RIVERSIDE HOTEL with a perfect background for all kinds of events. From gasworks to Gastwerk. 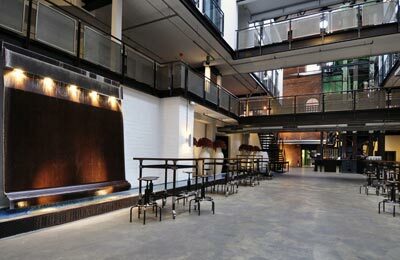 Opened in 2000 as Hamburg’s first Design Hotel™, the Gastwerk Hotel Hamburg is placed in the impressive and carefully restored industrial building. A fascinating harmonic interpretation is formed by a mix of brick and steel as well as modern design and historical architecture. The brick hall of the building, flooded with light, reflects with its 6500 square feet the unique, loft-like character of the hotel. 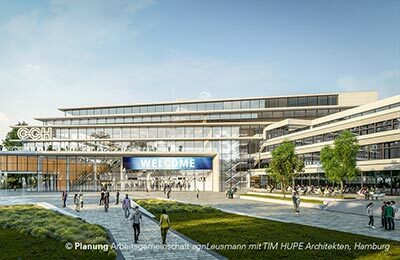 You can look forward to 141 rooms, lofts and suites, a variably-configurable conference area for up to 220 participants, restaurant Mangold, the L.BAR and the Gastwerk Spa. 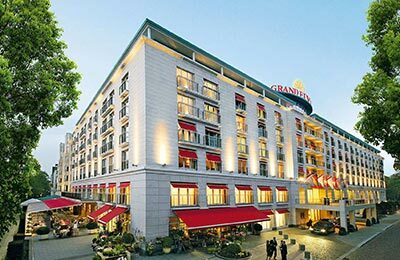 Located in the green heart of the “Hanseactic city”, the Grand Elysée Hamburg, Germany’s largest privately owned five-star hotel, is a welcoming meeting place for locals and guests from around the world. 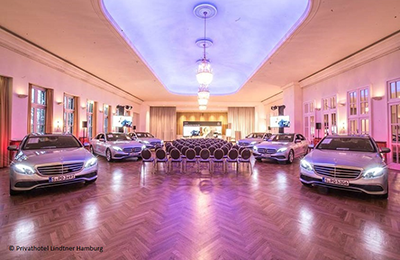 Featuring a total of 511 spacious rooms and suites, as well as 30 different function rooms spanning over 4,200 m², the Grand Elysée Hamburg is your ideal partner for events of all types and sizes. In its four restaurants, two bars and one café, the property offers a unique culinary diversity all featuring excellent, attentive service and an inviting ambience. 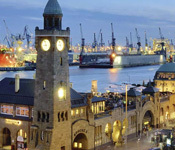 The Hamburg Marriott Hotel beckons you with the cosmopolitan style of a European seaport destination. Elegant design with elaborate details sets the mood in the 278 rooms. Warm colors and cozy furnishing create a comfortable atmosphere, which is also perceptible in the modern meeting space for up to 210 guests. Located right in the city center, restaurants, shops and popular sightseeing spots are only a short walk away. Relax after a long day at our Spa and fitness, with sauna and indoor pool. Enjoy regular live music at the Piano Bar, after having savored delicacies at our restaurant. 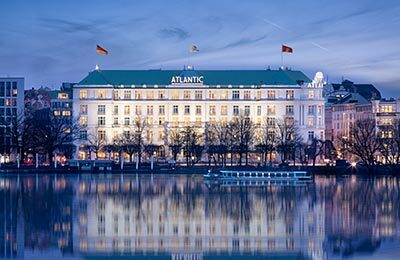 In its own unique way, five-star Hotel Atlantic Kempinski unites the traditional and the modern, representing exquisite grand-hotel style with European flair. 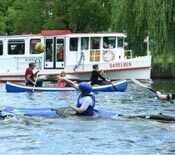 Located directly on Lake Alster the hotel has served as a calm oasis since its opening in 1909. 13 meeting rooms with a ceiling height of 8 m provide the perfect scenery for unforgettable conferences. For more than one hundred years, the heart of our banqueting halls has been the historical Grosser Festsaal, a ballroom so versatile that it never ceases to astonish. 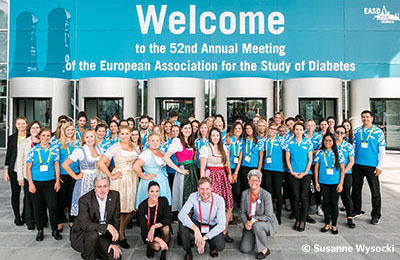 Munich, Hamburg, Berlin, Leipzig – 4 locations in Germany o 120 passionate and committed employees • successful in the market since 1969 • organised 3,000 congresses in 16 European countries o meetings ranging from 200 to 30,000 participants • 80% core clients. We combine tradition with energy and competence, we are structured, transparent and professional. Our teams operate candidly, directly and with respect. At the same time, we always encounter our clients with a sense of trust and loyalty, aiming at a common goal: your successful event! 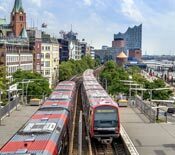 The JUFA Hotel Hamburg HafenCity**** is a modern hotel located at the very heart of the HafenCity regeneration district. 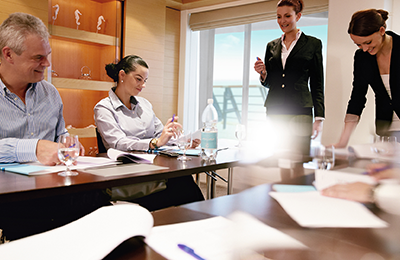 Stage your seminars and meetings at the waterside whilst watching the major cruise ships pass by and enjoy a well-deserved break on our sun terrace. The refreshing breeze from the River Elbe will soon blow any cobwebs away and almost make you feel as if you were on holiday. 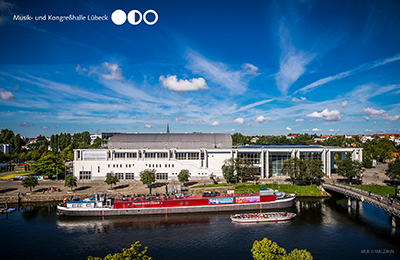 Lübeck inspires – the Hanseatic city unites traditional entrepreneurship and excellent universities to a vivid business and science location. Since the middle ages, Lübeck as “Queen of the Hanse” has been holding close ties throughout Europe and still today it is a popular place for economic and scientific exchange. 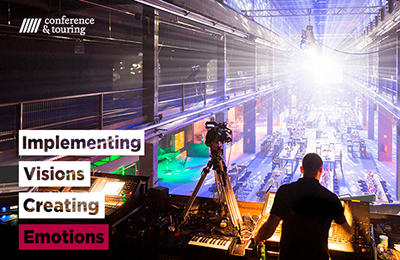 With our congress initiative lübecKongress, you have 38 partners by your side to realize your event perfectly. Be inspired by Lübecks charm and get your fill of the sea breeze to refuel for new ideas. NORD EVENT GmbH is one of the leading catering and event suppliers, and host of a whole variety of exclusive venues in Northern Germany. Whether an intimate birthday celebration or company anniversary with 2,000 guests – if you have an occasion, we have the ideas! With stunning event locations, top-quality catering, versatile side and entertainment programs, and countless years of experience, we offer individual event concepts tailored entirely to your wishes. Simply sit back and relax, and allow us to take care of everything else! The Privathotel Lindtner Hamburg with its 128 extraordinary rooms and suites is one of the most beautiful green hideaways in the south of Hamburg with good connections to the city centre. Culinary delights in two restaurants as well as 21 conference rooms offer the perfect venue for your event upto 700 persons. Large rooms, suffused with light and with a noticeable love for art and details, as well as the idyllic garden and terraces invite you to linger. 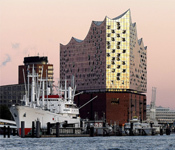 As a “Certified Green Hotel” we are ecological partners of the city of Hamburg. 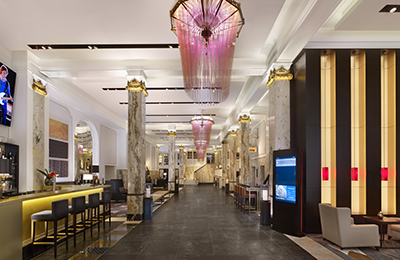 The vibrant lobby of Reichshof Hamburg Curio Collection by Hilton amazes guests with monumental architecture and Art-Déco design elements combined with the dynamic atmosphere of this beautiful hanseatic city. Let yourself be inspired by the combination of history and modernity, and hold meetings in five charming salons and four private rooms for up to 250 people. All rooms are air conditioned, offer high quality conference technology and are equipped with free wifi. Relax and de-stress. 278 Rooms and Suites in an Art-Déco Style offer a comfortable retreat. 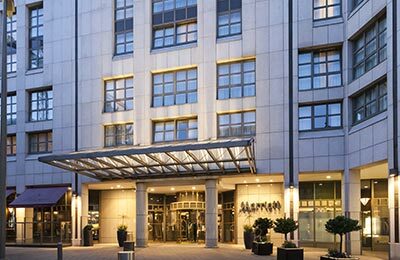 The sustainable lifestyle hotel Scandic Hamburg Emporio has 340 guest rooms and is located right in the heart of the city. Awarded the title “Best Conference Hotel in Germany 2016/2017” by The German Business Travel Association. 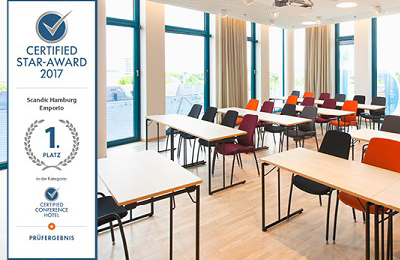 Bright and air-conditioned conference rooms on the seventh floor with views over Hamburg are available for groups of 10 to 120 people. Free WLAN is available all over the hotel and the rooms are equipped with a large desk and a laptop-sized safe. In order to have more time to enjoy the famous Scandic breakfast in the morning, guests can easily check out online. 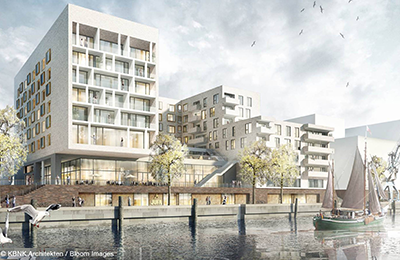 The Fontenay is a reflection of modern Hamburg, an homage to the Hanseatic city. 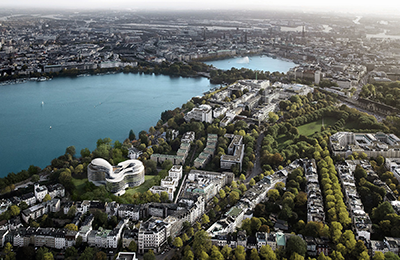 Located directly on the tranquil banks of Lake Alster, in the heart of the city, The Fontenay combines urban nature and a cosmopolitan lifestyle. The fascinating, sculpture-like architecture features 131 luxury rooms and suites. The centerpiece is an impressive 27m high atrium. Four function rooms from 65m² – 220m² with daylight are available for exclusive events. 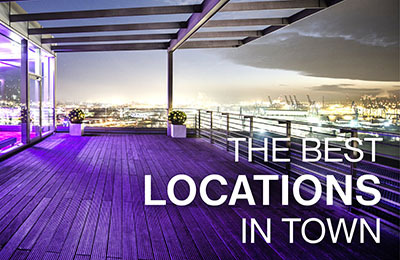 On the rooftop, with a spectacular view over Hamburg, is the 1.000 m² spa with a 20m indoor/outdoor pool. A modern holiday on the ocean with a sense of well-being: that is what TUI Cruises is all about. 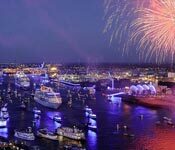 The company was established in April 2008 and is a joint venture of TUI AG and the cruise line Royal Caribbean Ltd. The CEO is Wybcke Meier. 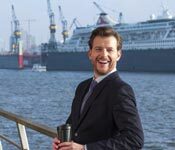 With the commissioning of Mein Schiff 6, the TUI Cruises fleet has grown to six sips in total and has now a capacity of 13916 berts. TUI Cruises is planning two more new builds in 2018 and 2019.